New Delhi : After the launching of 'Honor Holly' and the 'Honor 6' last year, Chinese multinational networking and telecommunications equipment and services company Huawei has launched two smartphones on Tuesday in India. 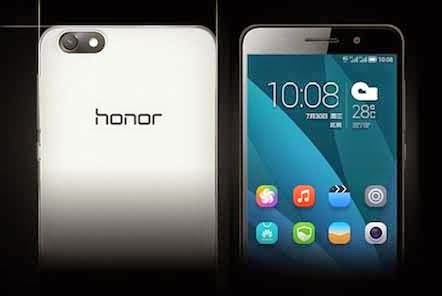 These are 'Honor 6 Plus' and 'Honor 4X'. Both of the phones have price tag of Rs 26,499 and Rs 10,499 respectively. The Huawei 'Honor 4X' will be available by March 30, while the 'Honor 6 Plus' will hit the Indian market in April. The Huawei Honor 6 Plus comes with a 5.5 inch display with full HD resolution. Despite being a big phablet, the Honor 6 Plus weighs only 165 grams and is 7.5 mm thick. Like the Honor 6, it comes with 3 GB RAM, 128 GB micro SD card slot, and comes in 16 GB and 32 GB inbuilt storage variants. The new Honor 6 Plus uses HiSilicon Kirin 925 octa core (4×1.8GHz Cortex A15 4×1.3GHz Cortex A7) processor and Mali T628 GPU compared to HiSilicon Kirin 920 octa core processor and Mali T628 MP6 GPU of the older Honor 6. Since it has a bigger display, Huawei has armed the new Honor 6 Plus with a 3600 mAh battery compared to 3100 mAh unit of Honor 6. Furthermore, the handset also acts as a power bank and hence you can charge your other devices using the Honor 6 Plus. The new Huawei Honor 6 Plus has been announced in both 4G and 3G variants. Besides, this dual SIM smartphone has Bluetooth 4.0 LE, NFC, and a micro USB 2.0 port. The major attraction of this device is its dual 8 megapixel rear camera along with a dual LED flash and 8 megapixel front camera. It too comes with a 5.5 inch IPS display but with HD resolution. Honor 4X measures 152.9 x 77.2 x 8.7 mm and weighs 165 grams. It has a plastic back cover which is removable but the battery is not. The SIM card and micro SD card slots are located beneath the back panel. This smartphone is based on Android 4.4.2 KitKat operating system but offers the customised Huawei 3.0 user interface. The Honor 4X has the Qualcomm Snapdragon 410 chipset that comprises of a 64 bit, 1.2 GHz quad core processor, Adreno 306 GPU, and 2 GB RAM. It offers decent 8 GB of in-built memory and a micro SD card slot that can handle up to a 32 GB micro SD card. The Huawei Honor 4X has a 13 megapixel rear camera and a 5 megapixel front camera. There is an LED flash light in the rear panel too. The handset has a 3000 mAh Li-Po battery that claims to offer 15 hours of 3G talktime. The Huawei Honor 4X has two SIM card slots (both micro SIM) and has 4G capability. It also offers the regular WiFi, Bluetooth, micro USB port, 3.5 mm jack, and GPS.